Preliminary research published this week in The Lancet medical journal outlines how scientists used an anti-convulsant drug to awaken dormant HIV hiding in the body, temporarily invisible but dangerous. 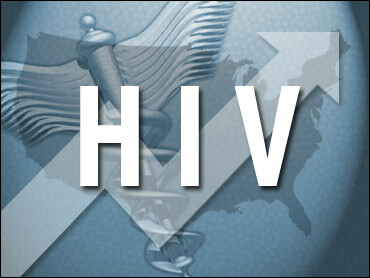 HIV infection is incurable because current drugs only work when the virus is multiplying. The virus only multiplies when it is in an active cell. However, HIV sometimes infects dormant cells, and when it does so it becomes dormant itself. While the virus poses no threat in its resting state, the problem is that the sleeping cells sporadically wake up, reactivating the virus, causing it to multiply. Patients must continue to take the medications for life so that they can fight the virus coming out of the reawakened cells. Only if every last infected dormant cell is wiped out — or the virus purged from all of these cells — can patients be free of medication and be cured, experts say. Figuring out how to clear this reservoir of latent infection, or whether that's even possible, is one of the hottest areas of AIDS research. Over the last few years, a handful of other drugs have been shown to decrease the size of the dormant HIV pool, but they were subsequently abandoned as impractical because their effect was either too weak or the side effects too toxic. The latest drug, valproic acid, shows more promise, said Dr. Warner Greene, director of the Gladstone Institute for Virology and Immunology at the University of California, San Francisco. "It's a first baby step, showing that maybe the use of (this type of drug) — far more likely in combination with one or two other agents — might be a viable approach for tackling this latency problem," said Greene, who was not involved with the research but is conducting similar studies. "The idea, if we could ever do it, is to purge every latently infected cell. Treat patients for probably two or three years, they'd be able to come off their antiretroviral therapy and they'd be virus free," he said. The study, led by Dr. David Margolis at the University of North Carolina at Chapel Hill, tested the ability of valproic acid to reduce the number of infected dormant cells. Four patients on standard therapy were given the pills to take twice daily for three months. The size of this pool of infected dormant cells decreased by 75 percent in three out of the four patients, the study found. "This finding, though not definitive, suggests that new approaches will allow the cure of HIV in the future," Margolis said. "This is a baby step, but it's a significant conceptual move forward." Margolis said he believes the drug reactivates the virus inside the dormant cell, either waking up the cell with it, or killing it. Dr. Jean-Pierre Routy, a professor at McGill University in Montreal, Canada, who also studies the dormant HIV issue, said that Margolis' results were an impressive first try. "It's enormous for just three months treatment to have such an effect," he said, adding that the findings merit urgent further study. "I think it's very exciting news." However, some other experts were less optimistic. "It's extremely unlikely that this approach would work," said Dr. Robert Siliciano, a professor of medicine at Johns Hopkins University who was one of the scientists who discovered the dormant infection problem in the mid 1990s. "It assumes something about the mechanism which we don't know is true. The mechanism may involve other issues that are not affected by this drug." "It didn't get all the cells. That's probably because it's not really targeting the right mechanism for latency," Siliciano said. "It's got to be a 99.9999 percent reduction to be useful. When you stop the drugs the virus explodes back so quickly, even if you had one latently infected cell left, in a matter of days you would be back to where you started from." Siliciano said he also doubts the valproic acid approach will solve the problem because it's likely that HIV lies dormant in other types of cells that scientists have not discovered yet and tackling those reservoirs may require a completely different approach. "It's a little bit premature to be talking about a cure for HIV," he said.